The ocean has given us so much: an endless list of bizarre animals, nearly as many beach-based melodramas (anyone else miss "The OC? "), not to mention possibly all life on Earth. So for this holiday season, we've rounded up a bunch of gifts that let you give back to the ocean while also giving to others. Not that consumerism is the best or only way to help the planet, but — just look at these adorable gifts! 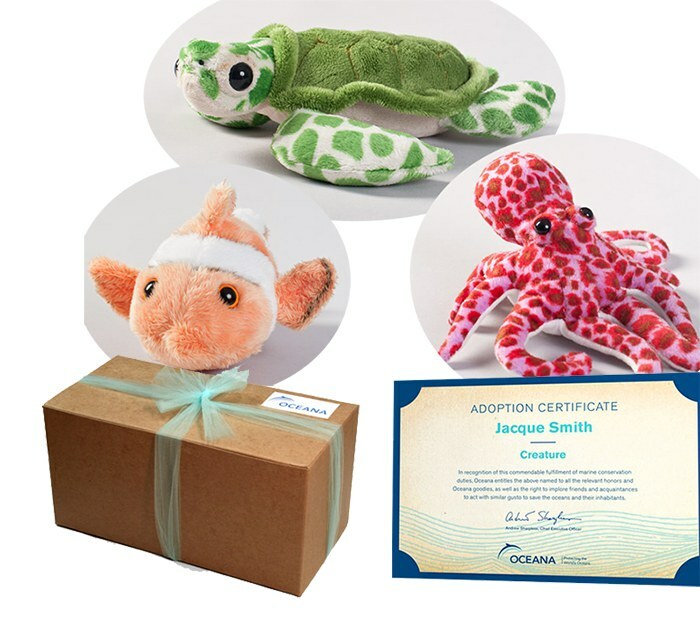 These animal adoption kits from Oceana let you cuddle with plush versions of animals you've symbolically adopted, which is really the only OK way to cuddle with a fish. You can adopt a shark, harp seal, blue whale, dolphin, orca, penguin — the list goes on. 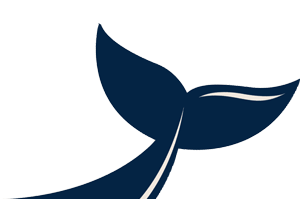 Your adoption goes toward Oceana's campaigns to protect animals and restore the oceans. 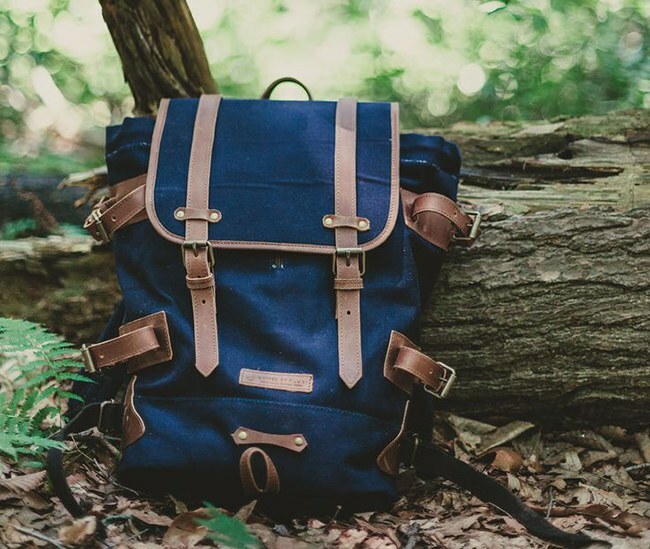 For those on your list too grown-up for stuffed animals, United By Blue makes sleek bags for everything from work to camping. For every product sold, the company pledges to remove 1 pound of trash from the world's oceans and waterways. The perfect accessory to go with a backpack: a reusable glass bottle from Daniel Glass. Not only do these guys have the best color names outside nail polish, they're also just beautiful. Ten percent of proceeds from these bottles go to ocean stewardship organizations like The Ocean Cleanup and Plastic Oceans. 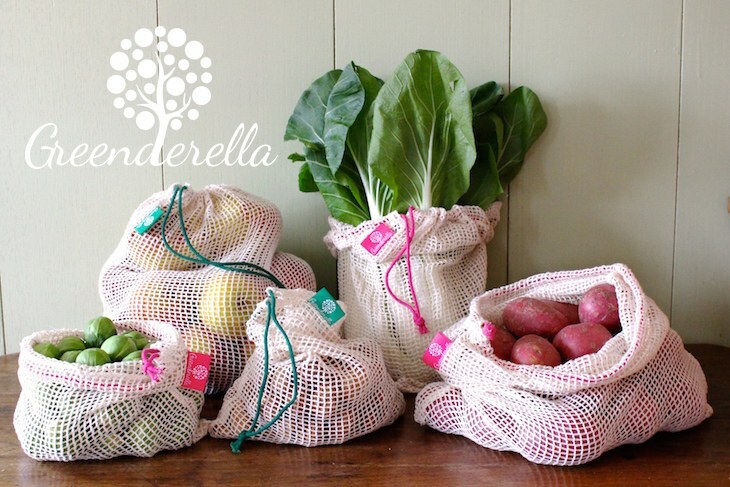 If you want to cut down on the amount of plastic that goes into the ocean in the first place, reusable produce bags are one great solution. These mesh ones from Greenderella are simple, practical and, with their bright-colored accents, pretty cheerful too. Five percent of their proceeds go to The Ocean Cleanup. For a more handmade touch, these from KaraGoesGreen are hand-stamped with crabs, octopuses and more. And since they're made of solid fabric, not mesh, you can even use them for your bulk bin purchases. 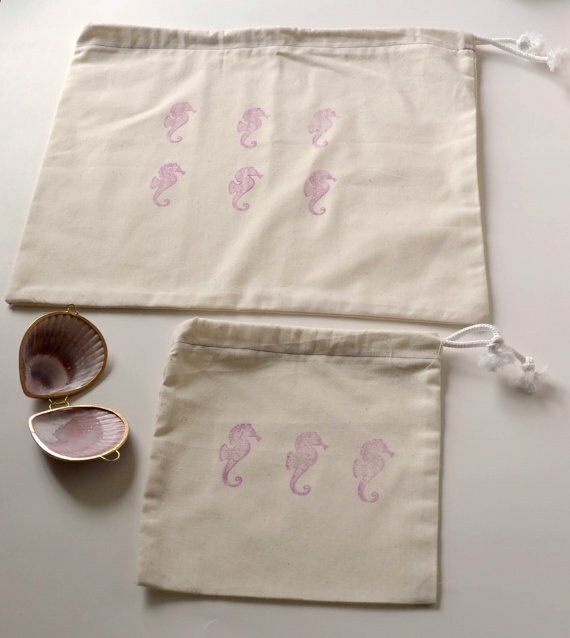 Is there any greater luxury than filling your seahorse-stamped bag with chickpea flour at Whole Foods? We're really not joking. Kara donates 20 percent of her profits to the Colorado Ocean Coalition. 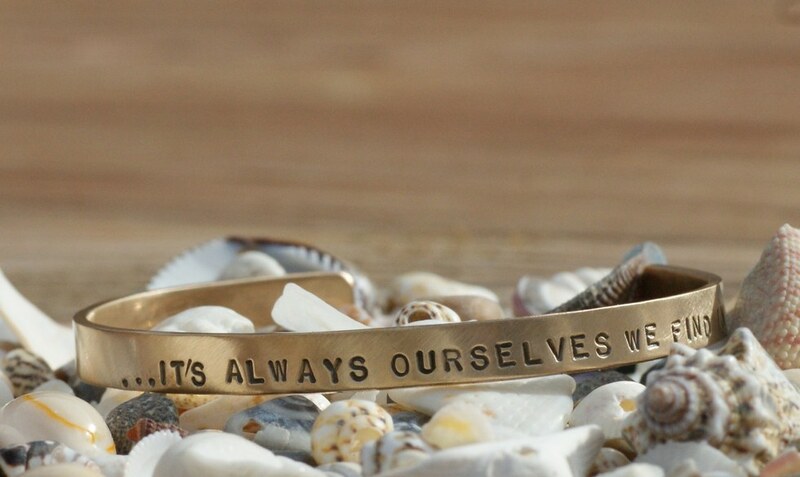 We also love this romantic bracelet from Swoom Jewelry Studios, which is engraved with an E.E. Cummings quote: "It's always ourselves that we find in the sea." Twenty percent of bracelet sales go to the Colorado Ocean Coalition. Picture that poetic bracelet with this hand-printed tank from One Ocean One Love. 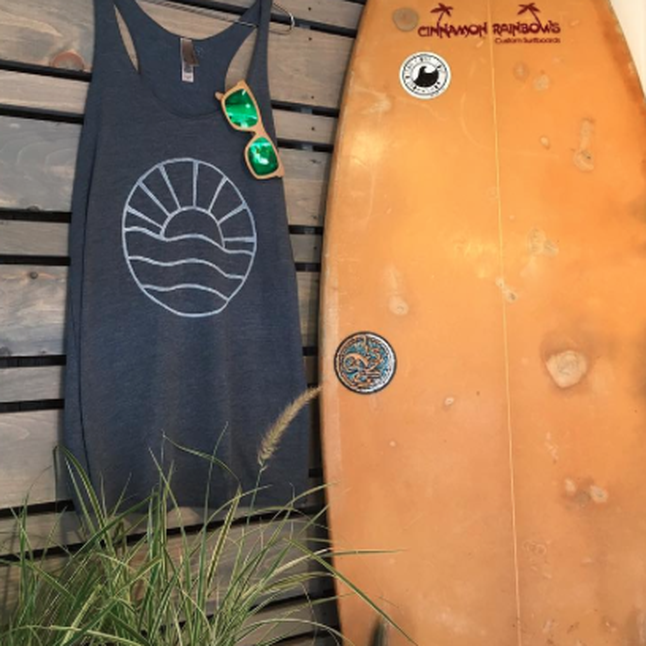 The company has all kinds of cool apparel for women and men, from crop tops to hoodies, and it donates 5 percent of its sales to ocean cleanup organizations. 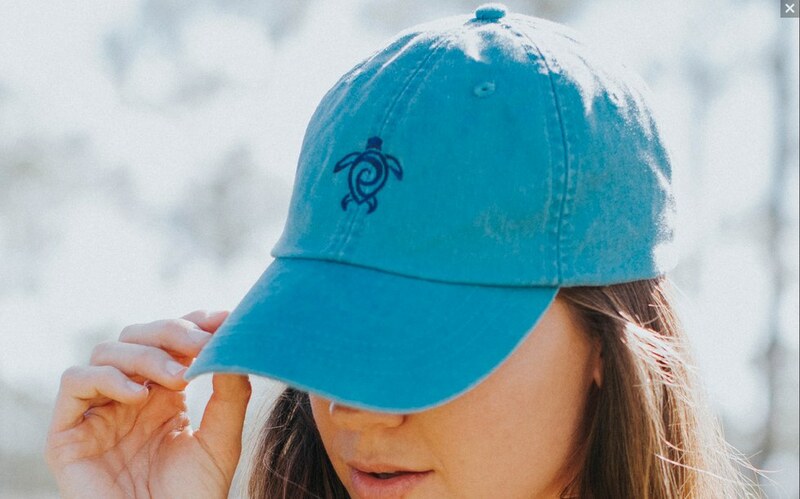 Complete this or any outfit with a turtle cap from Devocean. Devocean (taken from "devoted to the ocean") focuses on sea turtles, and they donate 20 percent of their profits to the FAU Marine Research Lab at the awesomely named Gumbo Limbo Nature Center in Florida. And lastly, what's a gift without presentation? 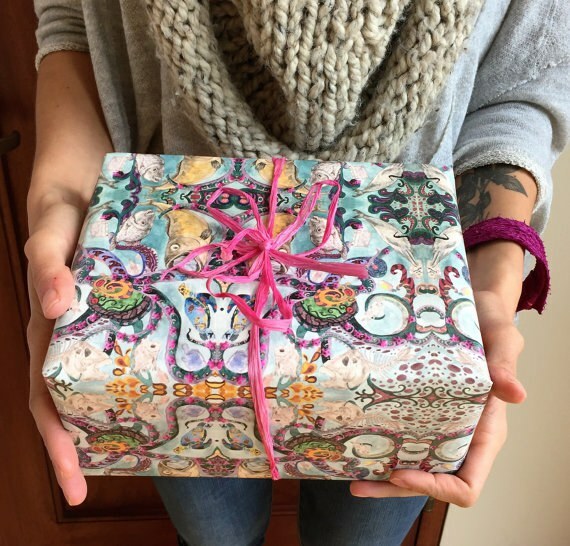 This gorgeously eerie "pollution monster" wrapping paper from Bow Seat Ocean is the perfect companion for any of the gifts on this list. The whole shop gives 100 percent of proceeds to the student artists who design its wares and to conservation organizations.